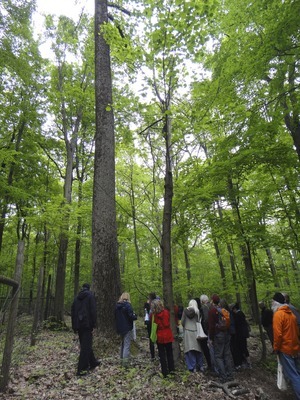 We had perfect overcast conditions and an enthusiastic group for last weekend's foraging hike in the South Mountain Reservation. 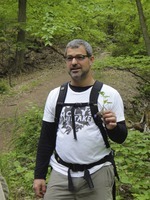 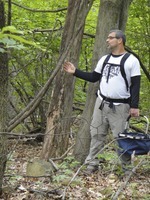 Thanks to Dan Lipow (pictured) of The Foraged Feast (formerly DiningWild) for his time and expertise in leading us through the woods. 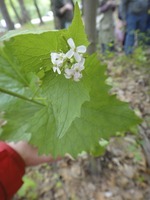 The low-bush blueberries weren't quite ripe for picking, but there was as much garlic mustard as we wanted. 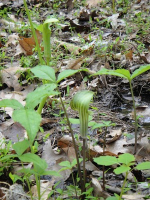 Among the other plants we passed were Jack-in-the-Pulpit, trout lily, greenbriar, wild grape vine, sassafras and burdock.